How to Report an Anonymous Tip to Police | WeTip, Inc.
Report an Anonymous Tip to Police. WeTip provides intelligence and information to local, state, federal and international law enforcement agencies relating to criminal activity obtained from an online and telephone crime reporting hotline. 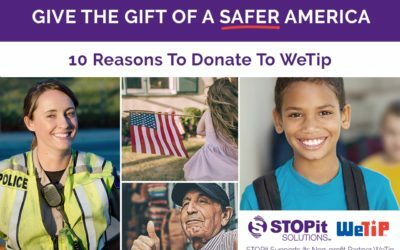 WeTip averages an arrest for every 33 tips received. For every arrest made, an average of $20,883 worth of drugs have been seized. An average of $1,078 worth of stolen property is recovered. For every 1.9 arrests made, a criminal has been convicted in a court of law.